So you've got the power to go fast sorted, Now what about stopping fast? These high performance rear direct replacement rotors are designed to fit all FIAT 500 models. Please check our other listings for more brake upgrade options and packages. Increase the braking performance of your FIAT 500 (all models) while improving its looks at the same time! 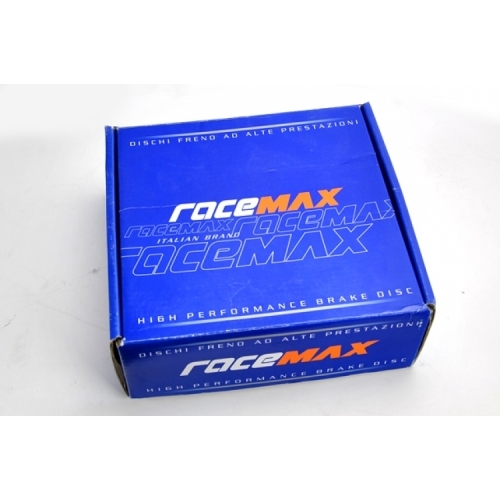 RaceMax is an Italian Manufacturer that specializes exclusively in the production of high performance wheel spacers and brake rotors. 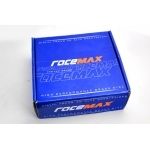 Established in 2004 RaceMax uses only the finest materials that are machined to perfection. 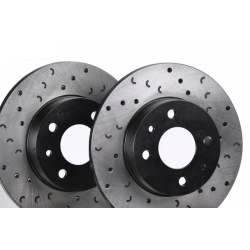 RaceMax brake rotors are made of high quality lamellar cast iron with a graphitic carbon content. The rotors are drilled and machined with C-shape grooves to reduce noise while increasing performance. The ventilation holes are drilled in a way that never interferes with the internal structure thus avoiding any potential weakening of the disc. All parts of the disc that are not in contact with the brake pad are painted with high-temperature resistant bi-component epoxy paint to protect them from the onset of rust. Any parts subject to friction are given a diamond finish, resulting in RaceMax brake discs with perfect flatness and an esthetically pleasing appearance.